Political and economic stability has underpinned the tiny African nation’s attractiveness to foreign militaries but several underlying issues could soon break the calm. The Republic of Djibouti is on any measure one of the most stable countries in eastern Africa. There are no known Islamic radicals here and, unlike its immediate neighbor Somalia and Yemen across the Bab el-Mandeb Strait, it is not plagued by a vicious civil war. The 1998-2018 war between Ethiopia and Eritrea, two other next door countries, significantly did not spill over into Djibouti. It has a French-style judicial system and a popularly elected National Assembly. 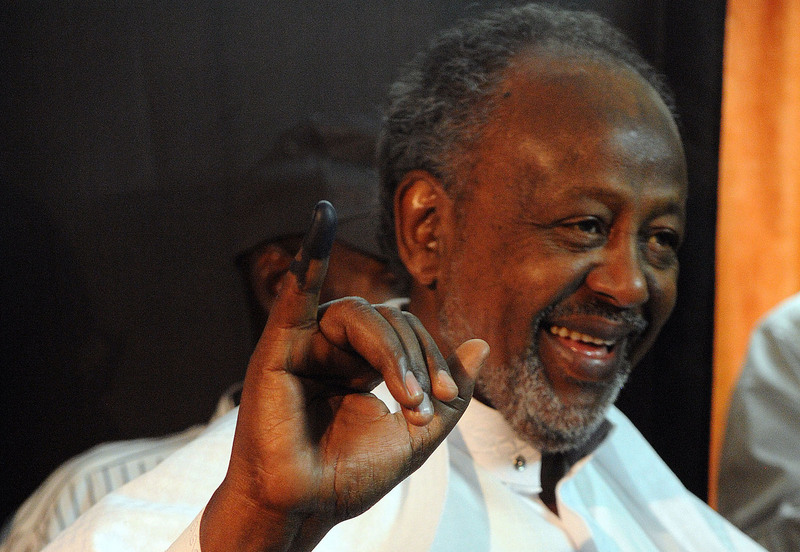 Ismail Omar Guelleh has been the small country’s elected president since 1999 and he appears to be firmly entrenched in power. Djibouti’s currency, the franc, is freely convertible and the country has adequate financial services with seven for-profit banks and four Islamic ones — more than enough for the needs of foreign investors and its less than a million inhabitants. With all that, combined with Djibouti’s strategic location at the entrance of the Red Sea, it is not surprising that several foreign powers, namely the United States, Japan, France, Italy and, most recently, China, have chosen to establish and maintain military bases here. But underneath the veneer of stability and calm, there are three major issues that could spark turmoil. According to a March 2018 report by Center for Global Development, a US-based think tank, Djibouti has borrowed more money from China to pay for infrastructure projects than it can analysts doubt it can afford. For decades, trade with Ethiopia’s land-locked but fast-growing economy has been conducted through Djibouti’s ports. But a peace deal between Ethiopia and Eritrea, concluded in July this year, could open a new trade route from Ethiopia to the Eritrean city of Massawa, once one of the most important ports on the Red Sea. If and when that happens, analysts say Djibouti stands to lose much of the US$1 billion it earns annually in revenues from exports and imports passing through its ports. A third factor is the future of the Guelleh regime. There is an ugly face behind its friendly façade of democratic institutions with scores of political prisoners, an authoritarian state machinery and strict libel laws that have gagged media coverage of official corruption or abuse of power allegations. In 2007, the opposition-oriented Le Renouveau newspaper was closed down over an article alleging that a businessman had paid a bribe to receive favorable terms to the national bank’s governor, Guelleh’s brother-in-law. Since then, there has been virtually no critical coverage of Guelleh’s government in the domestic media. In 2011, Djibouti’s political rights rating on Freedom House’s Index declined from “partly free” to ”not free” due to constitutional changes that allowed Guelleh to run for a third time in office beyond a previous legal two term limit. In that same year, Djibouti was affected by the Arab Spring uprisings against authoritarian regimes in North Africa and the Middle East. A series of protests broke out against Guelleh’s long-serving government, but were quickly suppressed as demonstrators clashed with riot police. Reporters Without Borders, a France-based press freedom advocacy group, claims that torture is common in Djibouti prisons, while Freedom House says that security forces frequently make illegal arrests. Like other long-running authoritarian regimes, Guelleh’s could face internal unrest simply because there are no other outlets for dissent. But the most serious issue is the debt load that Djibouti now faces. According to the Center for Global Development report, Djibouti is projected to take on public debt equivalent to 88% of the country’s total gross domestic product of US$1.72 billion, with China owning the lion’s share of the liabilities. Comparisons have been made with Sri Lanka, which was recently unable to service its US$8 billion worth of debt to Chinese banks and as a result had to sign over a 70% stake and a 99-year lease of its Hambantota port to China Merchant Port Holdings. The same state-owned Chinese company was involved in building the Doraleh port in Djibouti. 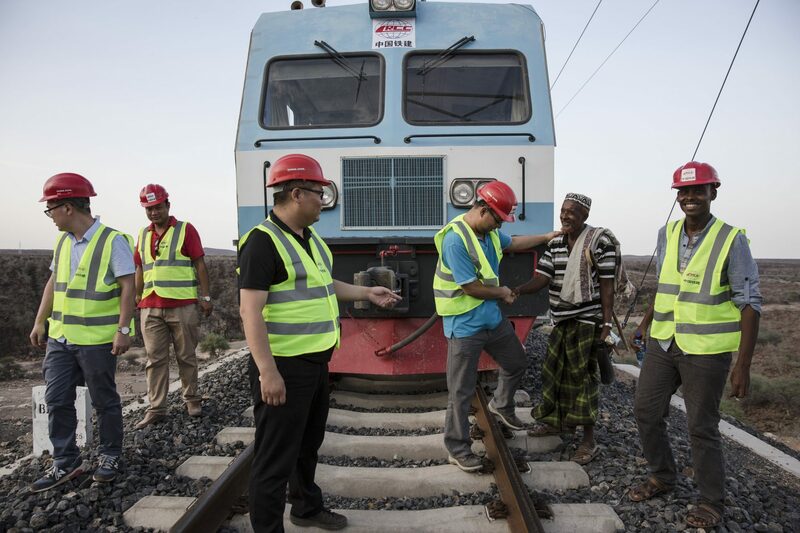 A new railway connecting Doraleh with Ethiopia’s capital Addis Ababa was built with a US$4 billion loan from China, though Ethiopia is more exposed than Djibouti for the line’s financing. In September this year, China had to slow the financing of other projects in Ethiopia as doubts grew over the profitability of investments there and the country’s ability to repay its loans. Those loans have gone towards upgrading Djibouti’s airport and ports, building a new oil terminal and road construction projects. In 2017, China replaced the US as Djibouti’s top source of foreign investment. Those burgeoning ties to China, not surprisingly, has stoked concerns in Washington. In July this year, two US senators, James Inhofe from Oklahoma and Martin Heinrich from New Mexico, reportedly wrote a letter to National Security Adviser John Bolton saying that Guelleh seems willing to “sell his country to the highest bidder”, a not-so-veiled reference to China. The letter argued the trend was undermining US military interests in the region. There is also rising local resentment about China’s growing inroads and increasing hold over the country. “The Chinese treat us with no respect, they shout and push us around. And they bring in their own workers for their projects, ignoring us locals,” said a hospitality company employee in the capital Djibouti City. “Ten years from now, China will own the whole country,” said another company employee with a caustic laugh. But Djibouti is hardly in a position to push back against China and its ambitious US$1 trillion Belt and Road Initiative (BRI), of which Djibouti’s ports and railways on the Horn of Africa will play pivotal roles. 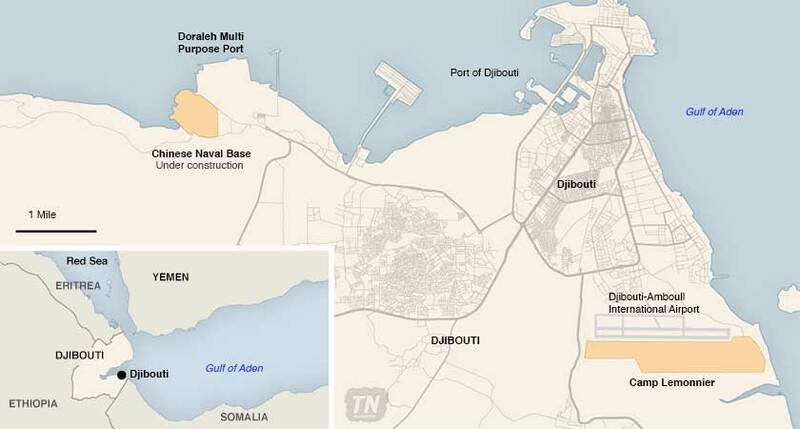 A complete Chinese takeover of the port in Doraleh along the lines of what happened to Sri Lanka’s Hambantota could have consequences for supplying the 4,000 or so troops that the US maintains at its base in Djibouti. Observers believe the move is likely posturing on the part of the Djibouti government and given Beijing’s strong and rising influence over the country that Chinese companies will ultimately get the re-tendered contracts. The Djibouti government’s takeover this year of the Doraleh Container Terminal from contracted Dubai operator DP World and subsequent non-adherence to a ruling in favor of the company handed down by the London Court of International Arbitration underscored the risk of doing business with the Guelleh regime. While the West may lament such arbitrary and legally questionable moves, without a change in government, Western nations have few avenues to force change. And despite the setbacks for China over the airport projects, its dominant role in Djibouti is still secure. China’s emerging strong position in Djibouti will inevitably have implications for the geopolitical balance of the entire Indian Ocean region. 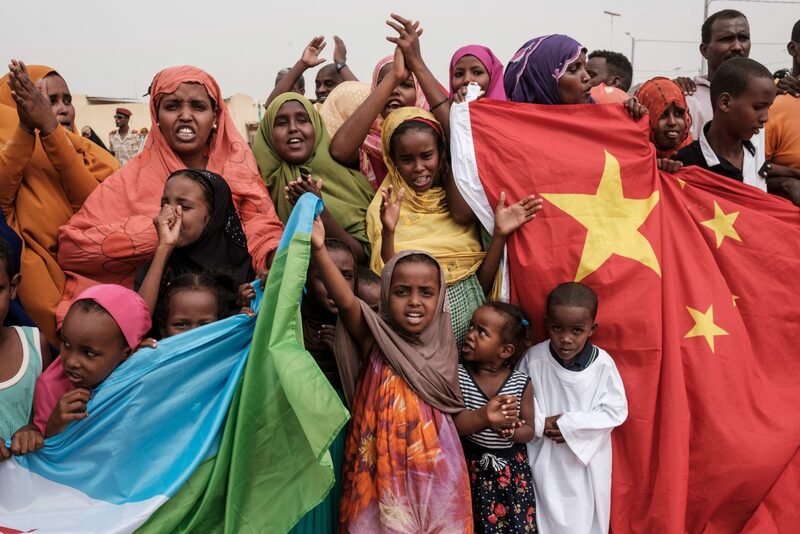 The question is whether the present political stability will hold, or if Djibouti’s authoritarian regime will be plunged into the same political pandemonium that has plagued its neighbors. If that eventually happens, Djibouti’s current balancing act between Chinese and Western base operators could be thrown off-kilter. For the tiny, strategically positioned nation on the Horn of Africa is already a superpower playground where even the slightest misstep could seemingly trigger a wider conflict.